PTSD is a traumatizing disorder that causes problems for the patient long after the original experience has passed. Knowing and understanding what Post Traumatic Stress Disorder is only the beginning. A person must go beyond the understanding to identify the triggers that some may see as constant reminders of the event itself. Much like a soldier who covers their ears when hearing fireworks, knowing what kinds of activities, sounds, and even smells, may trigger an episode is a key to helping them recover. Individuals who are seeking treatment for PTSD need answers that the treatment centers can provide. Any traumatic event can result in some degree of PTSD. A sexual assault, car accident, the death of a loved one, a personal attack or a difficult divorce have the potential to be devastating to all parties involved. 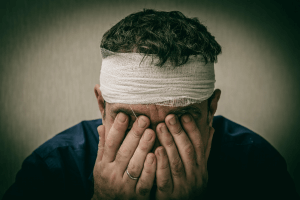 Just because the person does not sustain a physical injury, the mental anguish can leave scars that are just as devastating, yet invisible to the eye. In some cases, it may be more than one event or episode that creates the emotional stress which eventually causes the breakdown. It is important to know what has happened as well as what role the patient played in the sequence of events that led up to their traumatic experience. Identifying the cause is the only way for doctors at PTSD treatment centers to create a valid treatment plan that addresses all of the patient’s issues. Different causes of PTSD will create different symptoms. While most PTSD patients deal with some level of fear, they may also feel shame, anger, irritability and certain degrees of paranoia. Different causes will also have different triggers. For example, a woman who has been sexually assaulted may not have fireworks as a trigger. Instead, her trigger may be the close confinement of an elevator where strange men are forced to stand too close to her. A person who has PTSD from an auto accident, may not be able to drive on certain highways, travel over bridges or drive at night. The symptoms caused will be unique and can be directly attributed to the event itself. When the patient is provided the right treatment plan, they will be able to embrace it and use it the fullest advantage. They will be able to put the events of the day into perspective and come away with a sense of peace that will help them move forward instead of keeping them bound to the past. Treat the person as a whole and offer them the resources they can use in their everyday lives to help them move past the traumatic event and forward to a brighter future. Treatment for PTSD will take many forms and use many different treatment methods. When a person willingly chooses to seek treatment, they are ready to face the demons that often haunt them, either through fear or regret for not doing more. Helping them address those issues and move forward puts them back on track to better handle other, not so pleasant life events they may eventually face. PTSD can be addressed and individuals who deal with it on a regular basis can live normal, fulfilling lives. It’s important to maintain control and put things in perspective. Process the past, but choose to leave it behind and begin the process of moving forward. His House Rehab offers industry leading PTSD Treatment Programs. We were founded in 1994 and we base our Drug and Alcohol Treatment programs on five key principles: commitment, honesty, integrity, respect, and service. These five principles guide us in all that we do and all the care we provide. Contact us today to see how we can help you or your loved one at (888) 681-4594.